On the 30th of March, 2013, I made the profession of faith at the Easter Vigil and received the sacraments of Confirmation and First Holy Communion from then-Bishop-Elect David Talley. I can still remember the night well. It was raining hard outside, and so we had to light the Paschal fire at the church door. We catechumens and confirmandi huddled in darkness while the rites began. It was a moment of profound holiness, and an Easter liturgy I will never forget. Much has happened since that night. I am still a sinner, much as I was then. Perhaps I am a bit more aware of the fact, though. That’s a grace in itself. I have been a student, a pilgrim, and a devotee. I have made many friends in heaven and earth who have helped me along the way to God. I am grateful for every one of them, and I hope I have been able to do the same from time to time. Ever since 2014, I have consecrated every year of my life as a Catholic to some Holy Person. My second year was dedicated to Our Lady, the third to the Holy Ghost, the fourth to the Sacred Heart of Jesus, and the fifth to the Sorrowful and Immaculate Heart of Mary. Keeping in this vein, I hereby consecrate my sixth year as a Catholic to the Most Chaste Heart of St. Joseph. St. Joseph has been a great friend to me in the past, and has proven the power of his intercession on more than one occasion. I ask my readers to join me in praying now that St. Joseph will bless this coming year with abundant graces proper to my state of life, and especially an outpouring of those virtues which he so admirably exemplified: humility, purity, simplicity, detachment, submission to the will of God, reverence, and a constant, attentive devotion to Jesus and Mary. Holy St. Joseph, pray for me. Mighty St. Joseph, pray for me. Humble St. Joseph, pray for me. Pure St. Joseph, pray for me. Pious St. Joseph, pray for me. Sweet St. Joseph, pray for me. 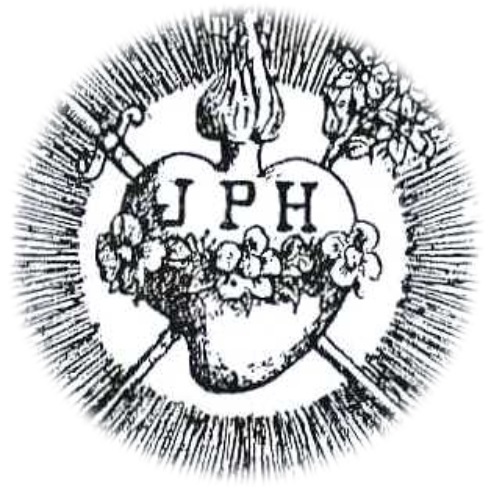 Heart of St. Joseph, pray for me.